The Hansen Scholarship is a flagship scholarship program at The University of Melbourne. From 2020, The Hansen Scholarship will be awarded to talented undergraduate students whose financial circumstances present a challenge to accessing a first-class education. Recipients will be awarded accommodation, an allowance, and financial and personal support. be an Australian citizen and be enrolled in an Australian Year 12 or the International Baccalaureate outside Australia. Applicants will undergo a preliminary screening stage which may involve written materials, references, video or other creative products, and such other methods to produce a short-list of suitable applicants. The final selection process will involve face-to-face interviews with short-listed candidates. Completed application forms are due by 21 March 2019. When a Stage 1 application form is submitted, the nominated Year 12 Coordinator will receive an email containing questions to complete their referee report, due on 27 March 2019. All Stage 1 applicants will be notified of results by mid-April 2019. Applicants invited to Stage 2 will be asked to submit a short video and provide additional references (academic and personal.) The Stage 2 Application form will open on 15 April 2019 and close on 29 April 2019. Academic and Personal references are due by 6 May 2019. Successful Stage 2 applicants may be invited to a Skype interview. These will be scheduled from 27-31 May 2019. Ensure you have a Skype account and username ready. Finalists will be invited to Melbourne in July 2019 for the interview weekend with the selection panel. Application results will be announced in August 2019. Final offers will be dependent on achieving a 90+ Australian Tertiary Admission Rank (ATAR) score and acceptance into the course of choice at The University of Melbourne. Results of the applications will be released in August 2019. Final offers will be dependent on ATAR achieved and acceptance into the course of choice at the University of Melbourne. Advancing the future of Australia through access to excellence in tertiary education is one of the Hansen Little Foundation’s core beliefs. 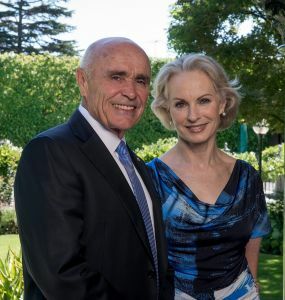 Jane Hansen and Paul Little believe that an individual’s life trajectory should be guided by their determination to achieve their ambitions, regardless of any limiting social or economic barriers. It is important to us to ensure that you have every chance at success, and we are looking forward to seeing you flourish at the University of Melbourne.